I always like Summer Season, it reminds me of the temperature in my hometown. Even though it gets hot and humid sometimes, I still love and enjoy this warm weather and make the most of it, because where I live now, we normally don’t get this much warm weather, and so Summer is the best time of the year for us to work outside and enjoy outdoor activities. I am well aware that it is not just me who enjoys this kind of temperate weather, yet most people in the Northern area. You can see so many people outside their houses, whether they are working on their yard, or just simply do nothing. There are so many things that we work during this season. Such as gardening, we love to plant our own produce and enjoy the chemical free food in our backyard. We fix our landscaping, for those who have still so many things to do outside, we enjoy that we can work outside with just a pair of shorts and shirts. Aside from the yard work, we also love grilling, be in the pool swimming and just to have a bonfire and eat a lot of Smores. I also love to make sure that I have all the new gadget for grilling. And so, I went to check Coupon Goods for a Grill Mats, and I found not just one, but a set of 2 for a very cheaper price. I can compare this with different online website and they have this thing way expensive. Something, I would like to have without paying a full price. It does its work and helps me when grilling vegetables. I can get it with a discounted price through Groupon and I am thankful about this website, as I can attain the things I need without spending too much. Groupon is awesome, there are plenty of things that you can find there from clothes to things that you can use at home. Good to know that you found the perfect grill and you were able to save money as well! 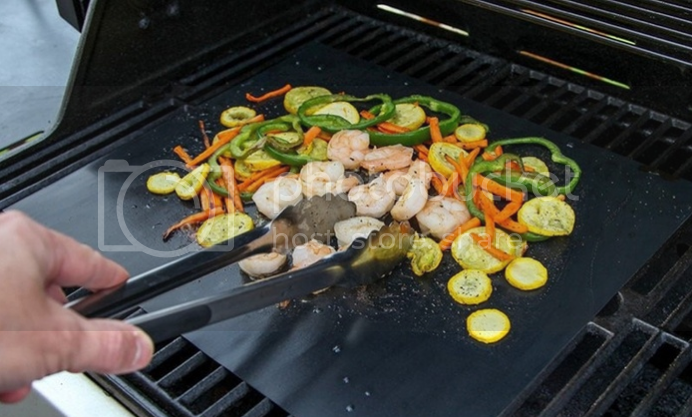 I would like to have a grill mat. We haven't use our gril this year! nice buy for a cheap price. Oh! How I miss those "grill days" in Georgia. I like groupon they have a lot of good deals. I always used them for restaurant and outdoor adventure. The grilling mat I have the same one as well but I got it for free from the product review website. They are cool to have it makes my BBQ taste good and my grilled easy to clean. What I love about summer season is I can save more, don't have pay tuition fees LOL I like the grill, I might be looking for one soon. The one that we had is busted.